We live in a world of hurting women. And just as Jesus compassionately loved those who were suffering, so can we. "As Christian women, our hearts ache with a world that suffers," author Denise George cries. "Our love for God compels us to put our love into action." I Am My Sister's Keeper tenderly addresses issues like broken relationships and divorce; unforgiveness; loneliness; spouse abuse; and loss and grief. Through biblical stories and contemporary stories of wounded women, George's advice guides readers in how to pray, offer a listening ear, share from their own experiences and encourage others with God's promises. A complete Bible study guide makes this an ideal resource for groups of women to study together. With the love of Jesus poured out through his followers, hurting women begin to overcome painful circumstances. Through our hearts and our hands, God still heals wounded women. 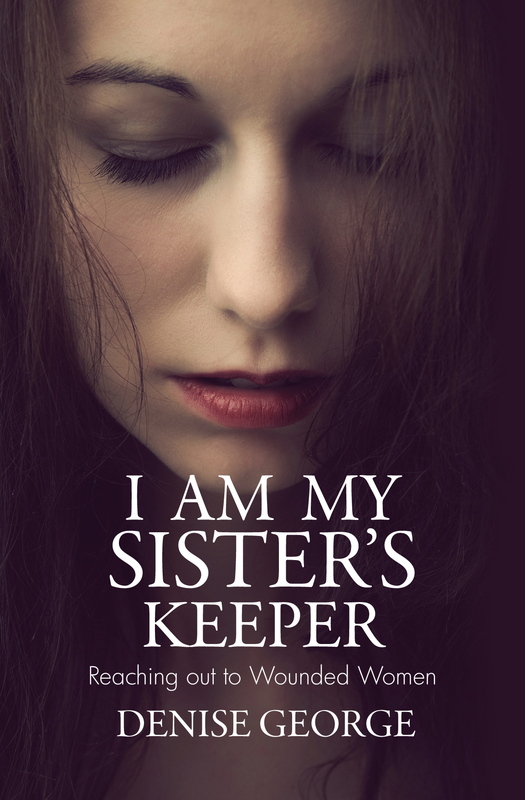 I Am My Sister's Keeper by Denise George was published by Christian Focus Publications in May 2015 and is our 56060th best seller. The ISBN for I Am My Sister's Keeper is 9781845507176. The title of the book indicates that the readership is intended exclusively for women. The author, Denise George has written this book as a tool through which God can speak to every woman, and the reader can be encouraged to reach out to hurting sisters seeking solace in friendships in Christ. Denise draws on all sorts of women's stories here, from Biblical examples to modern, hurting women. There are women trapped in unhappy marriages, those who have experienced divorce and need to forgive their ex-spouses. There was one prostitute who wanted more than anything else to be a lady, and gave her life to Jesus when a young man informed her that the Lord could wash away the stains on her soul. There was a chapter on loneliness and another on suicide. These are two taboo and misunderstood subjects which I felt Denise did well to explore, even if I felt the section on loneliness was a little too neat and over-sentimental. It’s worth it for the reader to look at the back, as well – there are lots of useful questions and subjects to explore for Bible studies. A great resource for those wishing to show Christ-like compassion for suffering women. The title of the book indicates that the readership is intended exclusively for women. The author, Denise George has written this book as a tool through which God can speak to every woman, and the reader can be encouraged to reach out to hurting sisters seeking solace in friendships in Christ. Denise draws on all sorts of women's stories here, from Biblical examples to modern, hurting women. There are women trapped in unhappy marriages, those who have experienced divorce and need to forgive their ex-spouses. There was one prostitute who wanted more than anything else to be a lady, and gave her life to Jesus when a young man informed her that the Lord could wash away the stains on her soul. There was a chapter on loneliness and another on suicide. These are two taboo and misunderstood subjects which I felt Denise did well to explore, even if I felt the section on loneliness was a little too neat and over-sentimental. It�s worth it for the reader to look at the back, as well � there are lots of useful questions and subjects to explore for Bible studies. A great resource for those wishing to show Christ-like compassion for suffering women. Got a question? No problem! Just click here to ask us about I Am My Sister's Keeper.